Sheep farmers must be on their guard against nematodirus now that a sudden increase in temperatures has been forecast, warns the Sustainable Control of Parasites in Sheep (SCOPS) group. The SCOPS Nematodirus Forecast map at www.scops.org.uk/nematodirus (pictured) shows South and East England, plus most other lower lying areas of England, are at moderate risk – which means they are within 10 days of a hatch. Lesley Stubbings of SCOPS explains: “The rapid change from the relatively cold weather of March and early April to the forecast for the second half of April means a mass hatch of over-wintered Nematodirus larvae is highly likely in some areas. This poses a serious danger to February and March-born lambs grazing fields that carried lambs last spring. The SCOPS Nematodirus Forecast provides an interactive map that is updated daily using data from 140 weather stations, tracking changes in risk throughout the spring and early summer. 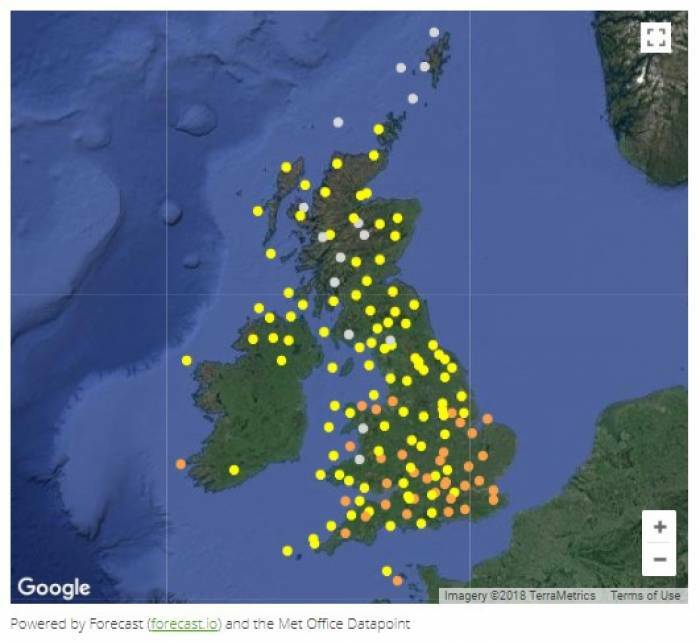 This map allows farmers and advisers to select their nearest or most representative weather station and then access advice on how to relate the predicted risk to a particular farm. Treatment options and possible management actions are also provided, which sheep farmers should use in consultation with their vet or adviser to consider the local risk and when/if to treat lambs.